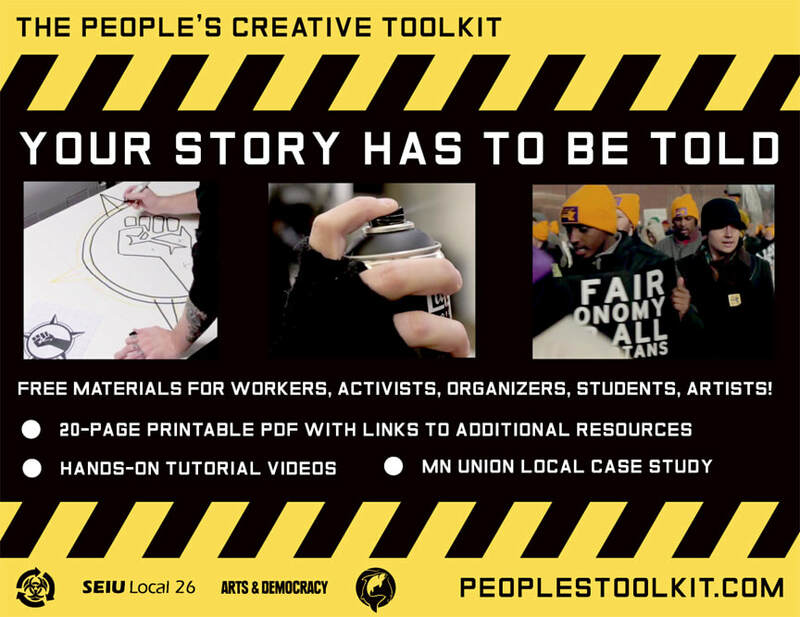 I am a graphic artist working in the Twin Cities, and co-founder of Rogue Citizen: a small collective of painters, instigators, and educators. Clients have roots in the music industry, performing arts, craft brewing, labor and justice organizations. I've exhibited original art in dozens of venues. In addition to creating original art and design, I work as a scenic artist and technician for major traveling exhibitions. Exhibit-specific resume available upon request. 2017-18 Rogue Citizen at Modist Brewing Rotating exhibition of original work. Modist Brewing Co, downtown Minneapolis. 2016 Rogue Citizen at Pop Out: Over 100 solo & collaborative pieces. Pop Out, Northeast Minneapolis. 2016-18 Unicorn Art Show: Themed group show. Leg Up Studio, Northeast Minneapolis. 2015 Made Here MN: Urban art series. "Empire State" 4-part painting on canvas, 730 Hennepin Ave, downtown Minneapolis. 2015 ARTCRANK: Pop-up art show featuring handmade, bike-inspired posters by local artists. Fulton Brewery / Hamilton Ink Spot, Minneapolis. 2014 Minimum Wage: Rogue Citizen crew exhibition, 200+ one-hour paintings, discretionary price above MN minimum wage. Gamut Gallery, Minneapolis. 2013 Rogue Citizen Presents Cause Art Opening Number 24. Crew exhibition and live music series. Cause Spirits & Soundbar, Minneapolis. 2013 MNworks Curator, organizer, artist; Multimedia group exhibition & labor benefit. Bedlam Theatre, Minneapolis. 2012 Sound Perspective Select group exhibition, Twin Cities music industry artwork. Future Presence Gallery, Mpls. 2012 Angry Citizen Crew exhibition and live music series. The Nicollet and Angry Catfish, Minneapolis. 2012 Rough Draft Joint exhibition of drawings with Chuck U. Tarnish&Gold Gallery, NE Minneapolis. 2011 Rogue Citizen Presents Cause Art Opening Number 12; Crew exhibition and live music series. Cause Spirits & Soundbar, Minneapolis. 2011 ReVolt: Voices from the Warehouse; Select group exhibition. Warehouse gallery, Dubuque, IA. 2011 Execute Rogue Citizen; Crew painting exhibition and live destruction of unsold work. Gallery 13, Minneapolis. 2010 Words to Dead Lips; Visual design, motion graphics for feature-length multimedia performance with Aniccha Arts. Intermedia Arts, Minneapolis. 2010 Never Mind Rogue Citizen; Group painting and print exhibition. Nevermind Gallery, St. Paul. 2010 Exquisite Robot; Drawings from Rogue Citizen; Crew exhibition of collaborative drawings. SSCA Gallery, Minneapolis. 2009 Minimum Wage; Solo exhibition, 40 one-hour paintings, discretionary price above federal minimum wage. SSCA Gallery, Minneapolis.